Tag Archive | "restraining order"
The court order that had prohibited Chris Brown from getting close to Rihanna has been lifted as of Tuesday. It was two years ago when a restraining order was filed against the R&B singer after he had a domestic violence occurance with his ex-girlfriend just before the 2009 Grammy Awards. Judge Patricia Schnegg from Los Angeles Superior Court lowered the restraining order which stated that Chris Brown must stay away from Rihanna for about 50 yards, or 10 yards only during events in the entertainment industry. On Tuesday, Judge Schnegg replaced it with a level one order. This is a less stern order that allows Brown to come closer to Rihanna, but with certain conditions. 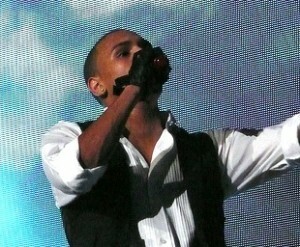 Brown is allowed to speak to the female artist and songwriter, but he is prohibited to harass or annoy Rihanna. Judge Schnegg said she is approving the order. However, she told Brown that he cannot annoy, harass or even put Rihanna under his surveillance. Although Rihanna was not in court when the order was lifted, her lawyer said that the “Umbrella” and “Rude Boy” singer did agreed to the change. The 21-year old male artists did not attend the brief hearing held on Tuesday. In 2009, he pleaded guilty beating Rihanna on the night before the Grammy Awards held in Los Angeles. He was punished with five years probation, including a community service. He just completed a domestic violence course that lasted for a year. Last week, Brown did not attend the Grammy Awards even though he was nominated with three awards. Rihanna, who performed during the show, had four nominations, but failed to win any of them.